Maryland Rule 2-421 governs the manner in which Maryland personal injury attorneys may ask and answer interrogatories. Interrogatories are formal questions in writing to the adverse party requiring written responses under oath. 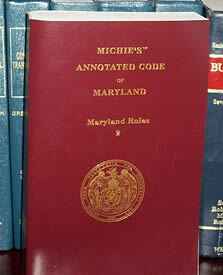 Parties may serve thirty interrogatories to each other and typically have thirty days to respond in Maryland. This rule does not specifically direct how theinterrogatories should be asked. It can be either in the form of a question (usually contention interrogatories) but, more typically, interrogatories direct the answering party to supply specific information that is described in the attorney's interrogatory. Regardless of what the objection is, it is imperative that the defendant's attorney be forced to provide an answer as required by Maryland Rules. If this effort fails, a motion to compel must be filed. Filing a motion to compel requires a good deal of work because a motion needs to be drafted and typically a Maryland judge will require the attorneys to attend a hearing on the motion. But the effort is necessary to get answers to interrogatories from the defendant's attorney that you can use against the defendant at trial. Availability; number. Any party may serve written interrogatories directed to any other party. Unless the court orders otherwise, a party may serve one or more sets having a cumulative total of not more than 30 interrogatories to be answered by the same party. Interrogatories, however grouped, combined, or arranged and even though subsidiary or incidental to or dependent upon other interrogatories, shall be counted separately. Each form interrogatory contained in the Appendix to these Rules shall count as a single interrogatory. Response. The party to whom the interrogatories are directed shall serve a response within 30 days after service of the interrogatories or within 15 days after the date on which that party's initial pleading or motion is required, whichever is later. The response shall answer each interrogatory separately and fully in writing under oath, or shall state fully the grounds for refusal to answer any interrogatory. The response shall set forth each interrogatory followed by its answer. An answer shall include all information available to the party directly or through agents, representatives, or attorneys. The response shall be signed by the party making it. Option to produce business records. When (1) the answer to an interrogatory may be derived or ascertained from the business records of the party upon whom the interrogatory has been served or from an examination, audit, or inspection of those business records or a compilation, abstract, or summary of them, and (2) the burden of deriving or ascertaining the answer is substantially the same for the party serving the interrogatory as for the party served, and (3) the party upon whom the interrogatory has been served has not already derived or ascertained the information requested, it is a sufficient answer to the interrogatory to specify the records from which the answer may be derived or ascertained and to afford to the party serving the interrogatory reasonable opportunity to examine, audit, or inspect the records and to make copies, compilations, abstracts, or summaries. A specification shall be in sufficient detail to permit the interrogating party to locate and to identify, as readily as can the party served, the records from which the answer may be ascertained. Use. Answers to interrogatories may be used at the trial or a hearing to the extent permitted by the rules of evidence.